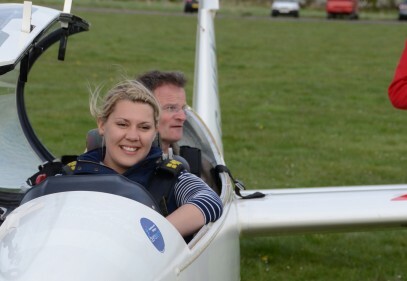 The Go for Gliding mini course gives you a great introduction to flying gliders. 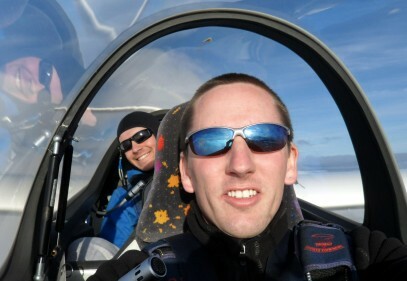 You will be fly with a fully qualified BGA instructor and be trained according to the BGA syllabus. Our clubs fall into two main categories – those that launch gliders by aerotow and those that use a winch to get you airborne. Depending on the launch method chosen, your course will typically comprise 3 to 6 flights. 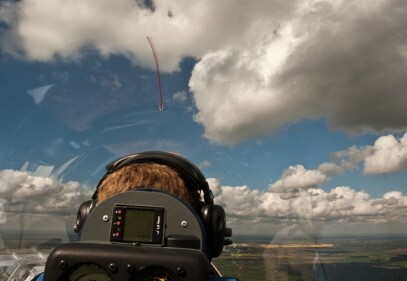 At the end of the course, you will probably be surprised at how much of the flying you have done yourself. On an aerotow, your glider is pulled into the air behind a tow plane. After a gentle take off, you will be towed to around 2000ft before releasing. A typical training flight after an aerotow will be around 20 minutes. Winching involves being launched skywards by a cable attached to a powerful engine at the far end of the airfield. The angle of ascent may catch you unawares the first time, but it is a fast, low cost way of getting airborne. Depending on conditions, you should expect a launch to around 1200ft followed by a 5-10 minute flight. Our club finder details the type and number of launches provided at each club. Please note, however, that the number of launches is an estimate – on good soaring days, you may be able to gain height and enjoy extended soaring flights. In these cases, the number of launches may be reduced, but you will still enjoy the same flying time. Your instructor’s objective will always be to maximise the benefit you get from your course. Either way, your mini course will give you a great feel for the sport and, should you wish to learn to fly, a great start to gaining your wings. We hope that you enjoy your course and that you will want to use a unique feature of this voucher: most of the clubs will allow you to go back for as many lessons as you like in the three months following your course, paying the same rates as their own members – sometimes as little as £12 a flight (winch launch). Making the most of this could get you well on the way to flying solo yourself! On the day, you should arrive at the airfield and follow any instructions given to you about where to report and what to do. 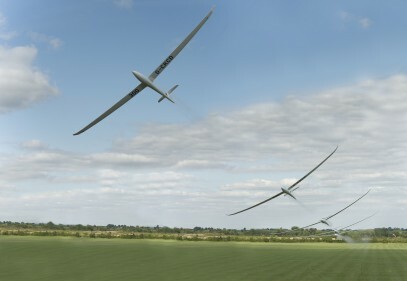 Gliding is an adventurous flying activity. Although the risk is carefully managed at all BGA clubs, flying in a glider is not as safe as flying in a commercial airliner and, as with anything involving machinery, there can be hazards even on the ground for the uninitiated. You will be fully briefed before your first flight in the two-seat glider. Wear comfortable clothing and footwear and be prepared for cold winds on exposed airfields and, equally, for the warmth from sitting in a perspex cockpit in bright sunshine! Sunglasses and a hat are good ideas and bring a camera if you want. Friends and family who want to watch will normally be made most welcome, but do check with the club first. Make sure to bring your voucher with you and hand this over before the course begins. You should remember that gliding is a weather-dependent sport. Sometimes the weather works in our favour; sometimes against. You should therefore be prepared to be flexible about how the course is organised. Sometimes a half day course may continue a bit longer. Where conditions are suitable for extended flights, your instructor may chose to fly fewer, but longer flights. This will almost certainly mean that you get longer in the air and more opportunity to fly the glider yourself. Your instructor will discuss the options with you on the day, but you should treat the numbers of launches shown in the web tables as indicative, rather than a commitment. All glider pilots would readily swap launches for more flying time! Before starting your course, you will be required to become (at no additional cost) a temporary member of your chosen club. In doing so, you will be agreeing to the terms and conditions of that club. The list of participating clubs may vary from time to time. Please check the up-to-date list on the BGA website.